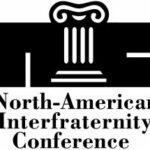 For years, our chapter has upheld a good reputation and has kept risky behavior on check. I hate to have to cough over thousands of dollars just to pay for increasing premiums due to other chapters’ mishaps. What can you suggest for our chapter to do so that our national dues will be cheaper? There are two aspects to the fees that most (if not all) Greek Letter Organizations (GLOs) charge: Chapter/Member Dues and Risk Management Assessment (RMA) Fees. Both can be controlled to a certain extent. Making sure that all members are properly listed on your roster by the billing dates set by your GLO (generally in October & February) can control Chapter/Member Dues. Members who are studying abroad, men serving in the military (reserve or active duty) who aren’t on campus, and suspended members aren’t usually included in the roster for billing purposes. This is important for both small and large chapters. RMA Fees are also affected by the accuracy of the rosters. Most General Fraternities have some sort of risk management reporting – this allows the chapter the opportunity to tell their Headquarters what they’ve done over the course of the semester/quarter to mitigate or avoid harmful actions/activities. Some GLOs offer credits for making improvements at the Chapter House (e.g. improved fire alarms, sprinkler systems, local fire department inspections, certain building maintenance completed on a regular schedule, and General Fraternity housing/maintenance checks). 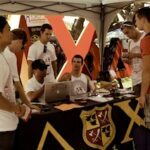 Assuming your chapter does a good job auditing its roster, then the first thing you should do is determine exactly how your General Fraternity generates each chapter’s RMA charge. For some GLOs it’s easy to do this online; if using the ‘Net isn’t an option, you will need to contact your staff representative. In either scenario each Chapter can see its actual calculation sheet; it’s possible to get reference material that fully explains each part of the calculation, but it takes effort to truly understand how all the moving parts of the RMA calculation relate to each other. Ultimately, both parts will go up over time. The issue for “good” chapters is to control what they can to lessen the increase. Keep in mind that there are outside influences. When other chapters make mistakes, as part of the insured group your chapter will suffer. If or when your GLO loses a lawsuit, your rates will go up. Since judgments are soaring, it will only get worse! In some GLOs there are opportunities for a group of chapters to hold another chapter accountable for their actions in some form of judicial hearing or during legislative meetings. It’s possible in these meetings to clearly indicate your chapter will not tolerate inappropriate conduct on the part of other chapters in your GLO. This can make a big difference over time. In addition, colleges and universities have started to become concerned about whether or not fraternities (and sororities) are actually insured, because a few GLOs have lost control of the insurance premiums. Within the last few years, several institutions have started requiring GLOs on their campus to provide annual proof of insurance. The bottom line is this: as long as stupid stuff continues, the sky’s the limit on insurance premiums for both “good” chapters and “stupid” chapters. This answer was written by Bill Foltz, an alumni brother from Lamda Chi Alpha and new contributor for the thefraternityadvisor.com. Bill is also the owner of Courage Communications a freelance company that produces award-winning alumni communications materials for chapters across the country. If you are interested in writing for thefraternityadvisor.com – let us know (CLICK HERE)! Joe – My comment wasn’t directed at PhiDelt. I know there are people out there that really believe in their alcohol free policy model for the right reasons, including yourself. That’s completely fine. I have every respect in the world for that. What I believe is that it MUST be a sovereign local level decision. There are a lot of campuses where it absolutely will NOT work. If you’re in a boring town with low cost of living and relatively easy competition for quality applicants then no problems. However, in the opposite scenario you MUST provide adequate social events to survive. If the cost of doing that at outside venues versus the one you already own is prohibitive, then either the chapter WILL fail or they WILL break the rules, quite probably both. Several other nationals that followed PhiDelt’s lead have since reversed their alcohol free policies. To me, it seems like PhiDelt is molding themselves to a narrower set of campus types that best fit that policy. It is an easily successful business model, but a big restriction on getting your ritual to as many qualified men of character and potential as you can. That’s too much tail wagging the dog for me. I don’t want insurance telling me where I can or can’t have a chapter. If you think orgs with national alcohol free policies are not actively drinking in their houses all over the country on a regular basis, you’re fooling yourself. Like all our other insurance conditions, it allows you to deny a claim for an unrelated action. Just the fact that you’re not paying a lot of claims that others are and that there is less reporting is going to drive down insurance rates. I don’t see that as an ethical approach though. I’m sure you and I could have a very interesting civil discussion about this that would end with neither of us changing our opinion. I respect where you’re coming from, but I disagree for I think equally strong and well supported reasons. I think it’s a bad blanket national policy. It should be a local option incentivized with significant insurance discounts. Maybe a partnership decision between the national and the local level (advisors, housing corp, chapter). But, in my view, there has to be flexibility to tailor to the unique environment – just like we do with house designs. I know I have said it on this site before, but Alcohol Free Housing works. Phi Delta Theta’s national membership is up, financial stability is up, member retention is up, donations are up and insurance and dues cost are stable. In fact, PDT now has the LOWEST insurance rate per member of any GLO. It has allowed dues increases to go with inflation rather than rising operational cost due to lawsuits and settlements. Bill – I really appreciate the article and glad to have you on the team. Dennis is spot on about the rosters. I can’t tell you how many times I have seen a chapter suffer from not updating them. Besides the financial impact, there is also the GPA impact. If you have deadbeat guys on your roster who are making 0.6s, then that will reflect on your chapter GPA. Essentially you are paying extra to make yourself look bad. About the only way you can dramatically reduce your insurance dues is to go alcohol free with your house. This is a step that some chapters are not willing to take. However, some have had great success with it. Really important point about managing rosters. Triple check & stay on top of that. Be aware that the people you keep off your roster are not insured and act accordingly. The only thing I can tell you to reduce the risk mgmt side is if not having a house or declaring it alcohol free is an option, then that will normally get you a very large discount. There’s not much else you can do but pass the cost on to your members. You’re saying “thousands” so I don’t know if you’re in line with the 15-20k we’re paying or not. That will certainly increase the cost of membership and limit your recruiting pool. That’ll make you more exclusive and require a lot harder work to make numbers. May make you less competitive on campus as well. Plan for it and you should be okay. Rising national insurance is a problem for everyone. Most nationals are good at managing the situation. They use risk mgmt assessments (fines) on chapters that get in trouble to compensate for the increased risk. Not that it helps you and this is going to sound terrible, but, I see this as Darwinian. The theoretical nationals that’s in it for the money… the one that starts lots of chapters and doesn’t do a good job efficiently using their resources in regulating to prevent lawsuits… is going to find themselves in trouble. That’s when you get things like a national alcohol free housing policy. That is never about it being a good idea or not. That would be a very campus specific determination. It is always about they’ve been sued too many times and are just giving up the fight to prevent more lawsuits. And also the national that doesn’t focus enough on ritual and alumni to retain ongoing alumni support. Those situations will lead to out of control costs being passed on to good chapters and a lack of resources to do what they need to be doing. Like weak chapters, some of those organizations will fail if they can’t straighten it out. I wish I could get that across to groups contemplating starting a new chapter. I can’t tell you the number of times I’ve talked to some kid that was so enamored with the expansion section of some nationals’ website and had no idea about their national strength/stability, finances, policies, governing structures, or the implications.